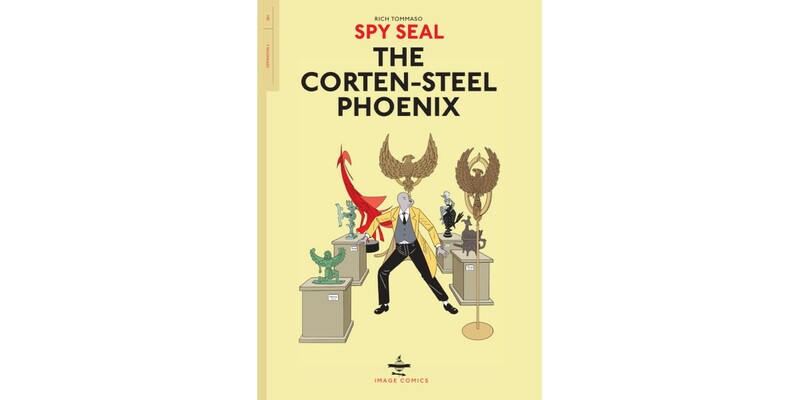 Critically acclaimed cartoonist Rich Tommaso (SHE WOLF, DARK CORRIDOR) will release a trade paperback collection of his espionage tale SPY SEAL this January. Visually reminiscent of such classic comics as The Adventures of Tintin and Usagi Yojimbo, SPY SEAL welcomes readers into the thrilling world of international espionage. One of Britain's most covert MI-6 divisions, the Nest, has recruited a brand-new secret agent to their team: Spy Seal! Follow the newbie spy and his furred and feathered colleagues on exciting train rides, high-speed car chases, high-flying air adventures, and down secret underground tunnels, all in an effort to hunt down a dangerous British-turned-Soviet double agent—a slippery spy who poses as an upscale art dealer while covertly killing off important figures of Parliament. SPY SEAL, VOL. 1 (Diamond code: NOV170686, ISBN: 978-1-5343-0479-6) hits comic book stores Wednesday, January 24th. The final order cutoff deadline for comics retailers is Monday, December 11th. It will be available in bookstores Tuesday, January 30th and is available for preorder via Amazon, Barnes & Noble, Indiebound, and Indigo.